Complete Sequence 1 in Assassin's Creed® III. Complete Sequence 2 in Assassin's Creed® III. Reach  XP in all Assassin's Creed® games. Complete Sequence 3 in Assassin's Creed® III. Complete Sequence 5 in Assassin's Creed® III. Complete Sequence 6 in Assassin's Creed® III. Complete Sequence 8 in Assassin's Creed® III. Complete Sequence 9 in Assassin's Creed® III. 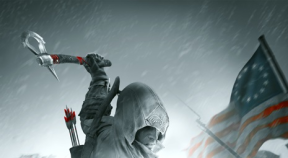 Complete Sequence 11 in Assassin's Creed® III. Play Assassin's Creed® III Remastered. Complete all Classic Challenges offering Club Units in Assassin's Creed® III Remastered. Obtain all Club Rewards in Assassin's Creed® III Remastered. Complete Sequence 4 in Assassin's Creed® III. Complete Sequence 7 in Assassin's Creed® III. Complete Sequence 10 in Assassin's Creed® III. Complete Sequence 12 in Assassin's Creed® III. Complete Sequence 1 in Assassin's Creed® Liberation. Synchronize all viewpoints in Assassin's Creed® Liberation. Kill all Citizen E and experience Assassin's Creed® Liberation's true ending. Collect every persona-specific collectible in Assassin's Creed® Liberation.